(OPride) – Every year the Minnesota-based Oromo American Citizens Council (OACC) brings together key Oromo political players for a daylong conference on the direction of the Oromo struggle. This year’s conference, it’s fifth – while not different – came at a crucial time when the Oromo struggle is at crossroads. The conference, held in Minneapolis last weekend, aimed to bring together leaders of different OLF factions, Oromo political analyst Jawar Mohammed, and head of newly organized Oromo Dialogue Forum (ODF), Mr. Lencho Lata. Themed “What’s Next for the Oromo People?”, the gathering drew surprisingly low attendance given the renewed interest among Oromo expats in the future direction of the movement. 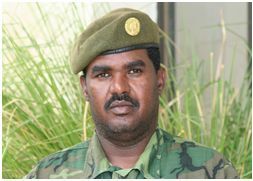 One notable absentee at this year’s conference was the OLF faction led by Dawud Ibsa. Ibsa’s group, along with United Liberation Forces of Oromia (ULFO), withdrew from the program after initially accepting the invitation, according to OACC Executive Director, Mr. Robsan Itana. “An engagement that we could not forgo came up and consequently we will not be able to participate in the upcoming OACC meeting,” wrote Dr. Fido Eba in an email to OACC. Dhugasa Bakako’s Transitional Authority also declined the invitation citing a short notice in an email response sent to OACC two weeks before the conference. 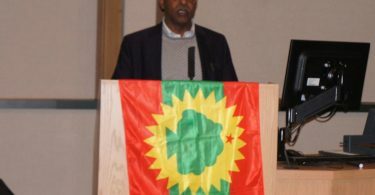 One of the two leaders that participated in the meeting, Kassim Abba Nasha, who represents Kamal Galchu’s faction, talked at length about the need for dialogue among Oromo political actors, and for Oromos to gain political power in Ethiopia. Noting that article 39 of Ethiopian constitution is ill-designed and doesn’t benefit the Oromo, Abba Nasha argued, Oromos have more to gain from a just, democratic, and truly federal Ethiopia. Save for some heckling during Q&A, the second speaker, Lencho Lata’s speech was well received. Lata maintained that the Oromo struggle, under OLF, has achieved monumental progress but didn’t not afford the Oromo it’s rightful place. He noted that Ethiopia was an empire four decades ago when the OLF was founded and remains so to date. Lata said the time is now ripe for paradigm shift and rearticulation of the objectives of Oromo movement. Lata emphasized that the new Ethiopia must recognize subjects as citizens – and a structural change is necessary in order to guarantee the self-determination of Oromo and other groups in Ethiopia. Related Report: VOA – Oromoo fi Waanti Itti aanee dhufu Maali? First of all Let us United regardless of our thought or ideology and let’s forcase on really issue. Fight to gain or take back our land, culture, and respect we deserve then we can talk about it the rest. Let us put our country first for most and I strongly believe the rest are easy God bless Oromiya.